Have you ever gone to a friend’s house and been blown away by the look of their home because they had custom shutters or blinds? We can help! All of our shutters sold and installed by John Vassar Custom Shutters & Blinds are built in our factory right here in Van Nuys,California. Tired of looking at the same old living room? Tired of the same old look throughout your home? Well, John Vassar Custom Shutters and Blinds has got your number! We can install custom shutter or blinds that will give your home a whole new look. 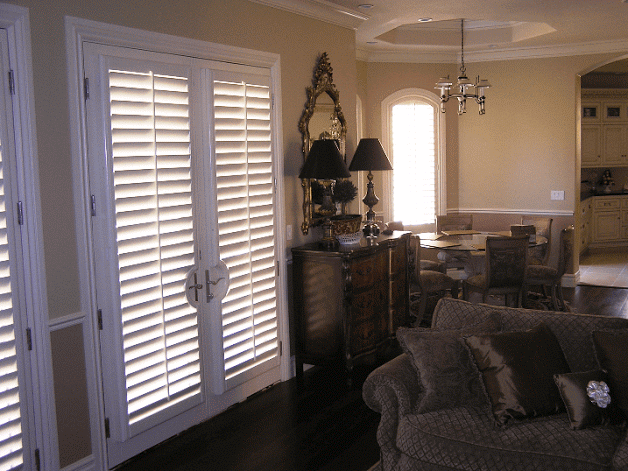 Just imagine what that living room would look like with custom shutters you can open or close, depending on your mood – or the weather.Call us at 800-506-6610. By LMB|August 8th, 2016|Canyon Country, CA, Castaic, CA, Newhall, CA, Santa Clarita, CA, Saugus, CA, Stevenson Ranch, CA, Valencia, CA|Comments Off on Window treatments SCV | John Vassar Custom Shutters and Blinds | Wow! !